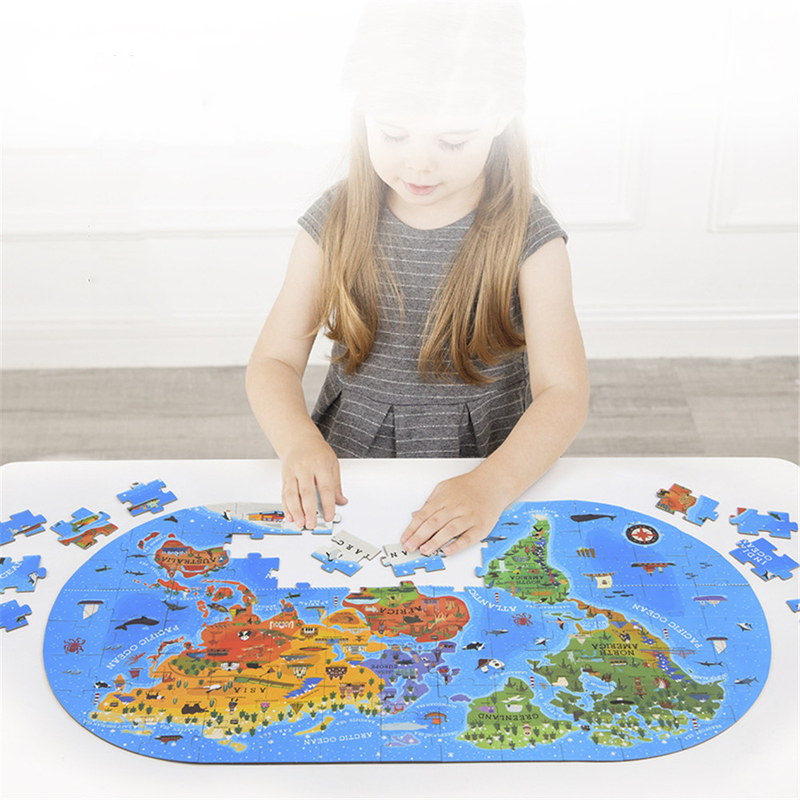 Children\'s large paper puzzle toy, including 100 pcs world map educational jigsaw. 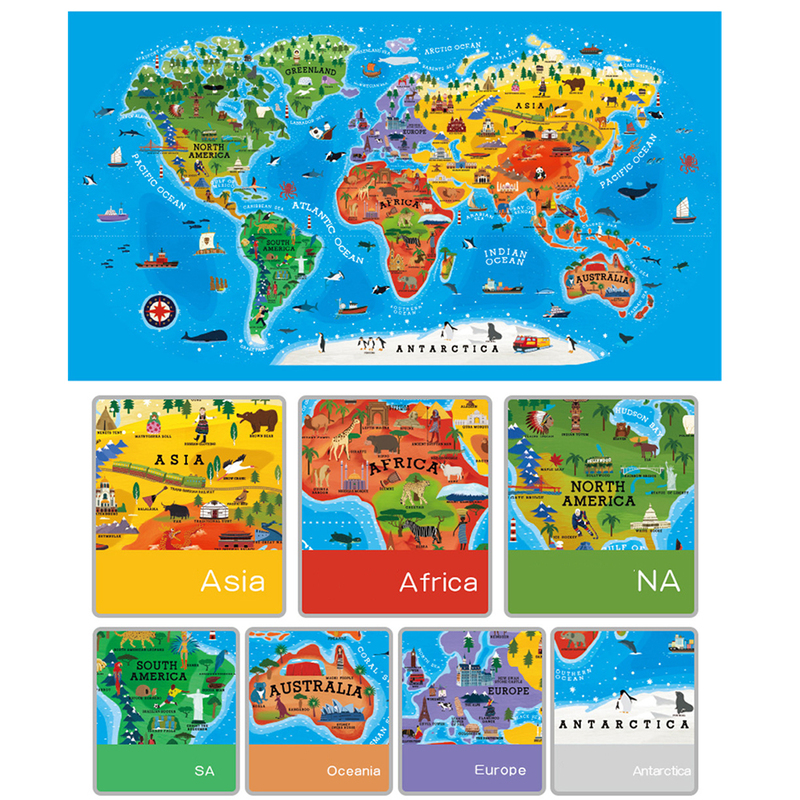 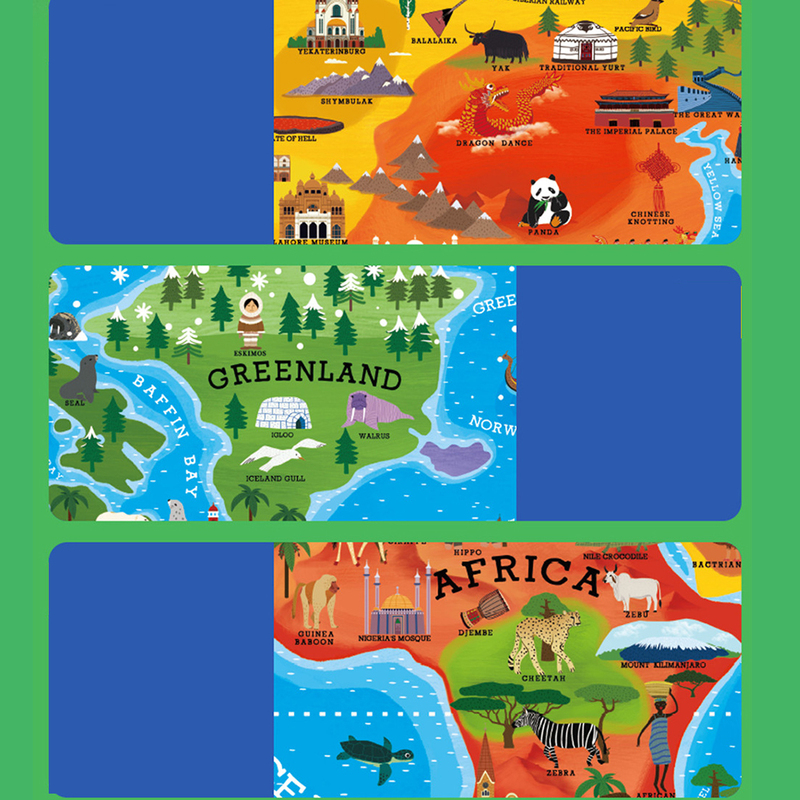 The map has the characteristics of various countries and regions, both for puzzles and for child to learn\\ geography. 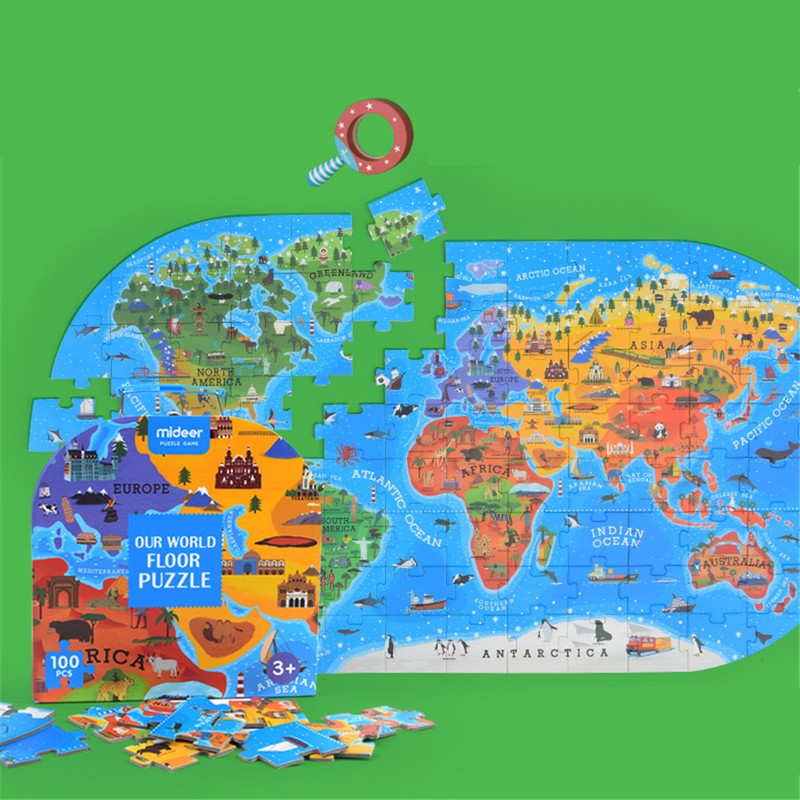 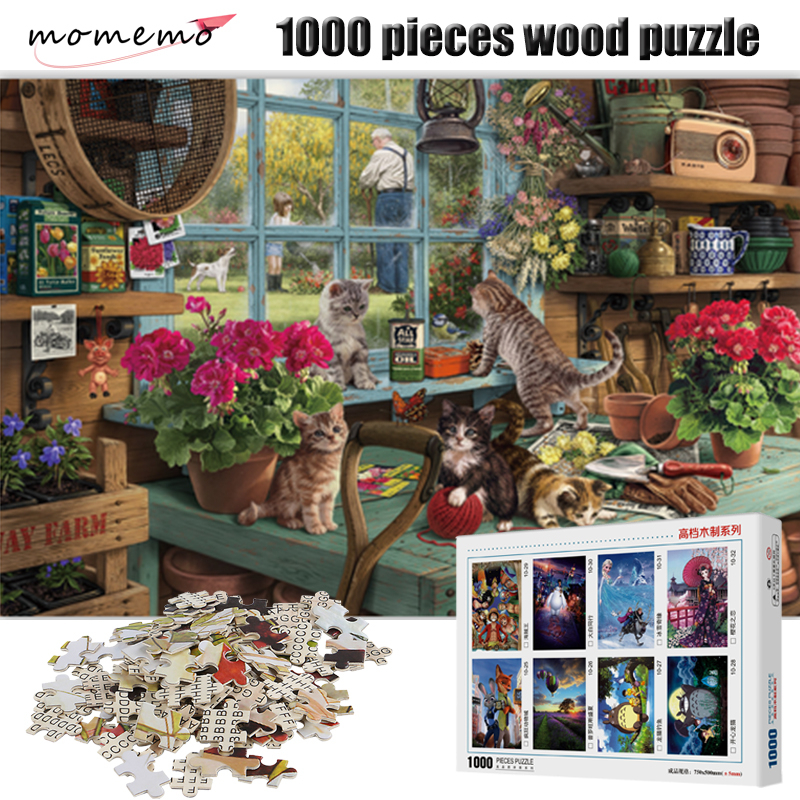 Made of high quality materials, the puzzle piece is about 2.8cm thick. 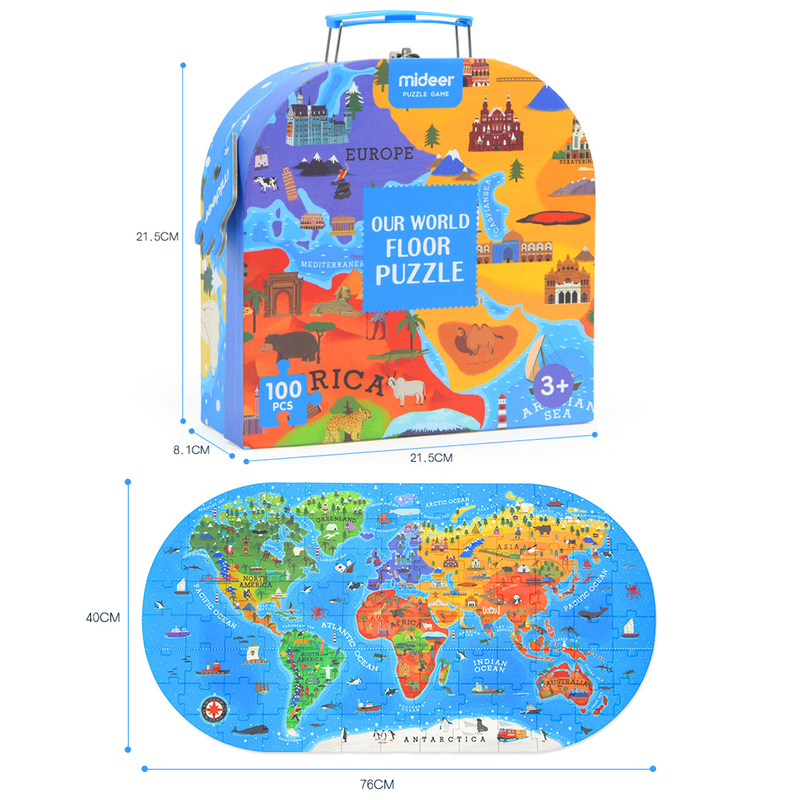 The size is about 70*39.5cm / 27.56*15.55. 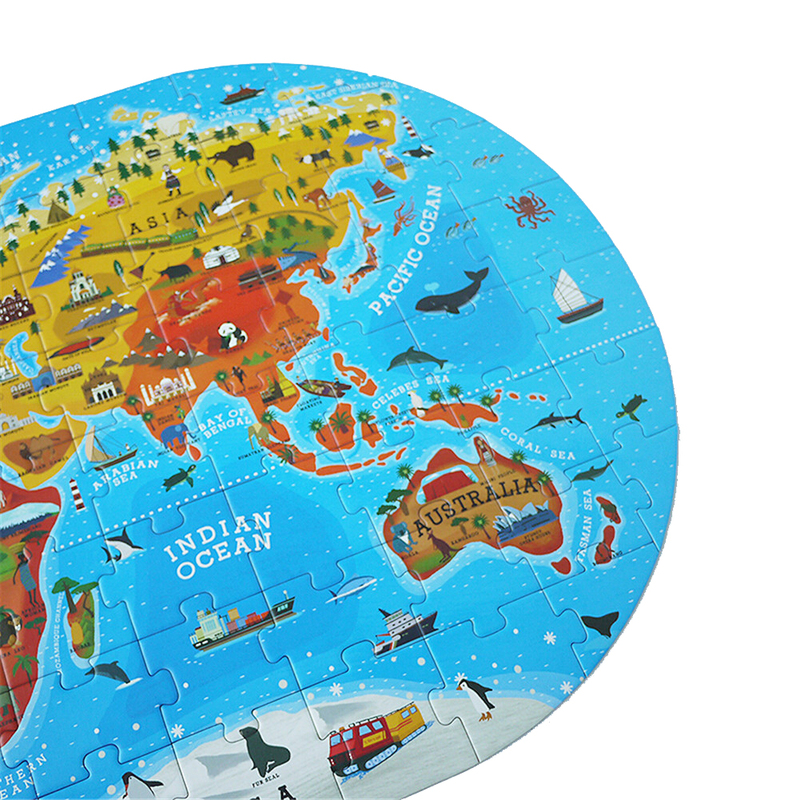 It can also be used as a toy mat. 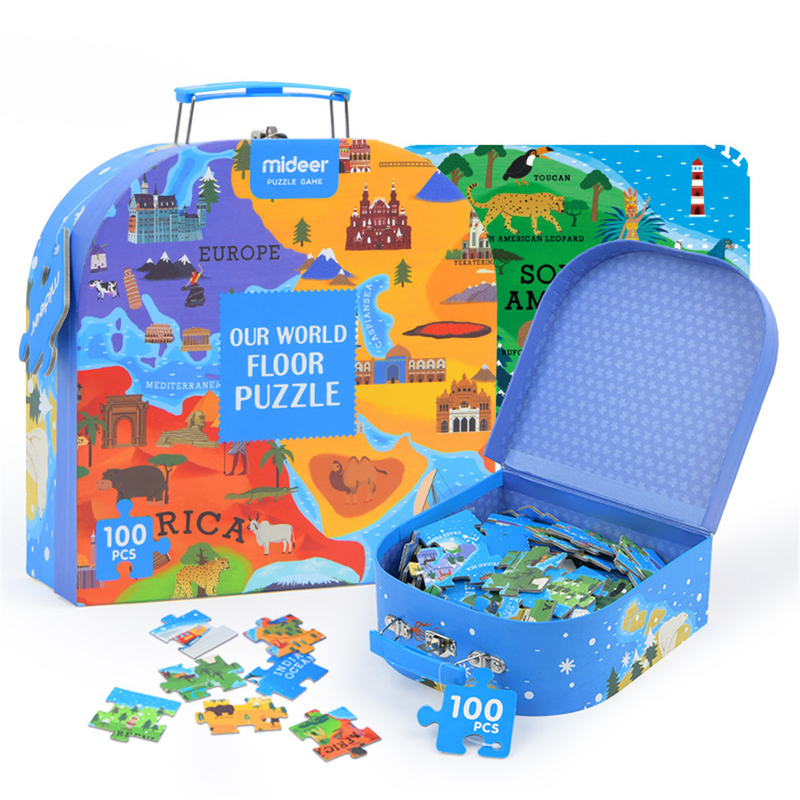 It has a beautiful iron box and is convenient to store. 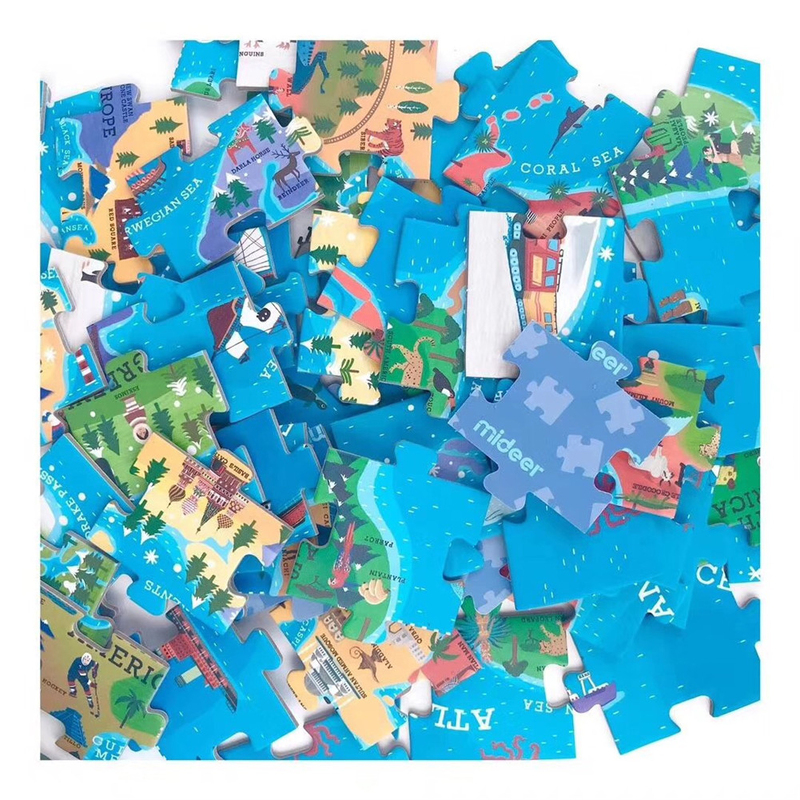 It is suitable for gifts for children.